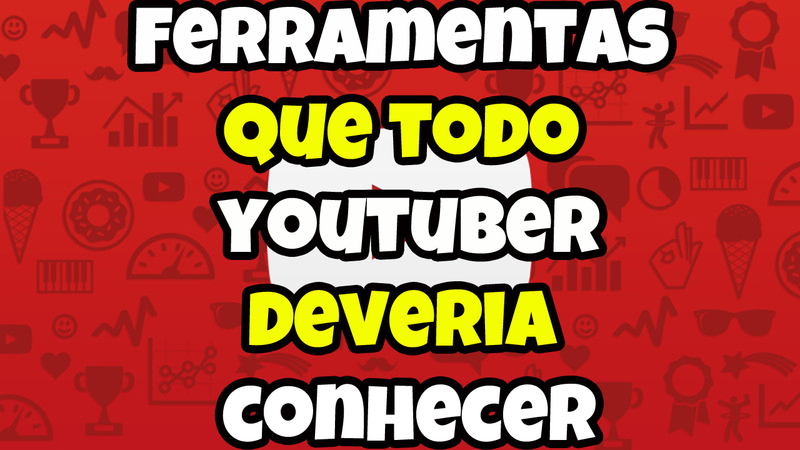 Hello everyone, in this post I've separated some good tools to advertise your videos from your channel on YouTube. Today with almost two million total video views, some of them helped get this number. To verify what I'm talking about visit youtube.com/sonaje/about And take a look at the view numbers. Only with some videos I prefer to use this type of tool, since my channel has so many videos today that it would not have like me to use at all videos. To verify the result I use a lot with some simple videos. Today my channel has videos with more than 300 thousand views. 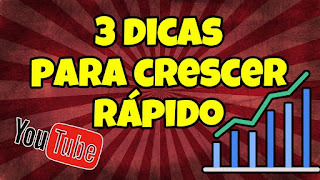 And they are all very simple, so they really need a tool that helps to increase the number of views, I will leave here as example a playlist of videos that is in my channel and that I have already used enough these types of tools to assist in the number of views. Good but I'm not here to talk about my channel and my videos, but the tools. The first one I'm going to talk about is FollowLike. The website works with a kind of coins, but the service is free as well. By interacting with other users' platforms you accumulate coins that you can spend on a campaign you make. This includes YouTube views, comments, and Likes. Besides YouTube you can popularize your page or your profile in other social networks too: like Facebook, Twitter, Instagram and others. I'm not using it anymore, but when I was, and I was particularly enjoying it because helped me a lot. ShareYT is also cross-platform, very similar to Followlike. In addition to being able to promote your YouTube videos you can also publish your page or profile of various other social networks like Facebook, Twitter, Instagram and so on ... To see the rest of the networks, make your registration and know the platform. It is a system that is growing very fast increasing the number of users in the community every day, currently the system has an average of 250 concurrent online users active on the site. What does that mean? More interaction with each other bringing benefit to everyone. It is not a tool that will increase the views of your video directly by spreading your content over the web, but it is a tool that will help you to be more productive and save your time a lot. With it you'll be able to produce more videos for your channel in less time. Bulk annotation on all your YouTube videos. Create an Animated Gif from a Youtube Video. Create beautiful Thumbnails online for a video of yours already uploaded to YouTube. Explore tags to improve the ranking of your video and be found by Google and Bing. Analyze other channels and compare growth with your channel. Lets you view and copy tags from any YouTube video, so you can use it on any of your videos. It allows you to write anything in the description of a video, and automatically replicate to all videos on your channel, without the need to delete what is already written in the description of these videos. This works with minutes. When you register, you'll earn 100 minutes for free to start spread your video or channel. Click Add New Website and enter the url of your video or channel if you want to advertise your channel instead of a video only. Each time someone visits your link your minutes will be discounted. To earn more minutes you need to download an application and install it on your computer. Through this application you view the links of other users, so you will accumulate more minutes that can be used to generate traffic for you then. The more minutes you generate, more clicks on your links you gain. Ad.fly is not a specific tool for promoting YouTube channels or videos, but you can, for example, insert a post link from your blog that has a video of your channel, thus making an "indirect" disclosure. Explainning better, you embed your video into your blog post, then grab the link from the blog post, and advertise with Adfly. So when the user view the post, he may click on the video. Depending on the type of disclosure you want to make Adf.Ly can perfectly meet your needs. The downside is that (although it is cheap) you need to pay to advertise your link. There are 5000 views for $ 5 dollars, meaning starting with a campaign at this amount you will have your article with your video, or channel, shown on the screen for 5,000 times, for 5 seconds. Hence the user will choose whether to click your article or not. If you choose to campaign with Adf.ly it is necessary that you place a very attractive thumbnail that will arouse the user's curiosity when they see your ad. Well, there is a great possibility that he will click on your ad. Remember also that ad impression does not mean a view in your video, to gain one view, the user needs to click on your ad where he will be redirected to your article, when reading the article will probably click on the play button, thus adding, another view on your video. 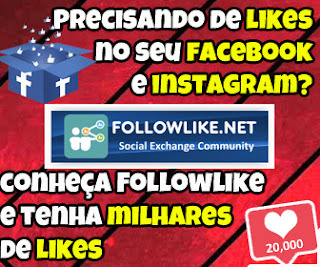 In addition to being a multiplatform system like Followlike and Addmefast also serves as an SEO optimizer (search engine optmization) that is, for those who have blogs or websites and thinking to give a lever in the pageviews I recommend this system that counts on the without cost. Similar to FollowLike and Link Collider, Add-me Fast works in the same style. Addmefast is the most famous of the genre with many users. Besides YouTube, there are several other platforms like Twitter, Facebook, Instagram, SoundCloud. Several options for you that want to spread your profile or even a work as music, if it is the case of the SoundCloud platform. To have thousands of likes on photos on Facebook is not problem with AddMeFast. For more informations about this tool, watch this video below. Belongs to Google, lets you make a disclosure as soon as you upload to YouTube. The most recommended, for anyone who wants thousands of views in some video. Very used by large companies to advertise a brand or a product. Little used by users who simply want to advertise their video or channel on YouTube, Users like Vloggers or YouTuber, Video editors. Just below you can check a budget that I just made if you want to promote a video with Adwords for video, you will know more or less how much you will pay. That's it folks, I'm staying around here then. If you know of any other tools that are effective for promoting videos on YouTube, leave a comment below. Who knows we can not test and put here in this post. Sign up for the blog to stay on top of what happens here in the next articles. If you liked the post, share it on social networks because one hand washes the other. Until the next post.